Our elementary schools are mission fields you drive by every day. They are within a mile of most of us. So instead of complaining about these kids, or the teachers, or get mad because they took down the Ten Commandments from the hallways, begin to look at them through the eyes of Jesus and see that leading after school PowerClubs is a golden opportunity to go directly into a read-made harvest field of spiritually hungry children with the message of Christ. Jesus said the fields of the harvest are white just waiting for laborers to go in and take the harvest. A public school Bible club can be the most powerful way to reach one of the largest unreached people groups in America, according to Tim Carpenter, instructor for this “Jesus Wants to Go to School Tr aining Course.” There are over 35 million children attending our elementary (primary) schools in the USA alone, and around the world, there are millions more, hungry, and waiting for someone to give them the Gospel. Kids in Ministry International has PowerClubs all over the world where we minister to thousands of children in over 21 countries. For the most part, these PowerClubs are the only church most of these children ever go to. That’s their church! That’s where they go to hear the Word and be discipled. That’s where they go to grow in their relationship with Jesus. So when you start a school PowerClub, you are actually planting a church of children! While each nation has different laws and situations, surprisingly it is still possible to teach about God and the Bible in many nations using these special PowerClubs in government sponsored schools. Is God calling you into this unique harvest field? Under Kids in Ministry International, a public school Bible club, called PowerClubs, allows you to teach these hungry and open children about salvation, how to hear God’s voice and be led by His Spirit, how to pray for their families and schools, fall in love with God’s word, and bring the supernatural power of God into our school children. We have the perfect School Bible Club curriculums from Kids in Ministry international for you to use! We are not interested in getting religion in schools. We are not interested in getting the Ten Commandments hung up again in every school hallway. That’s not our goal. 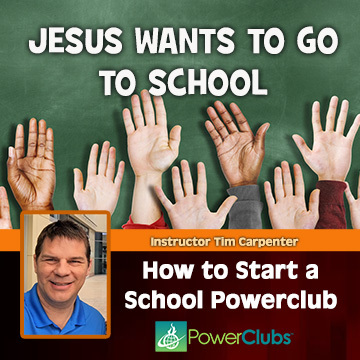 Our passion is to get Jesus in the schools by using a public school Bible club (PowerClub). We’re not interested in getting prayer back in schools—the mandatory, rote, prayer read off a piece of paper. But when you get a spirit of prayer in the schools by teaching children their authority in Christ, things begin to shake! When children know their God, and know how to hear his voice, they become the carriers of Jesus and the gospel in their own schools. 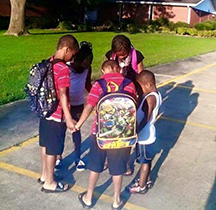 They become the prayer warriors to know how to pray about the pressing issues in their classrooms. Children become empowered agents of the Kingdom of God themselves. A Public School Bible Club is Powerful! The three core values, as taught in our PowerClub children’s ministry training is 1) meat, 2) equipping, and 3) presence. Begin to picture your local school with the meat of the Word, the equipping of the little saints with the power of the supernatural gospel, and the presence of the Lord! We all know what happens when the presence of God enters a place. It can’t remain the same. When the light comes on, the darkness has to flee. With school PowerClubs, we are not simply going in with simplistic Bible stories, or traditional curriculum used by many churches. Instead we are going in with unique tried and tested teaching materials, and God’s presence. This takes any children’s ministry, school, or church, to the next level of spiritual growth and impact. A Public School Bible Club is Legal! The devil has lied to the church and said, “See? Those school doors are closed! You’re just going to have to be satisfied to go in the Spirit.” But the truth is, the doors into our schools are open! Leading a public school Bible club in our schools is legal, and anyone can do it! In these video session we’ll answer all your questions about liability, legality, and building a team. If you have the heart of a kids evangelist, this workshop is for you!!! Tim shares in detail all the steps leaders need to take to make it happen. ***As an additional benefit for those who feel they need it, you may purchase two hours of Tim’s personal counsel and help to get your club started right and running smoothly. He will meet with you by phone or video chat to answer any questions that were not covered in these sessions. 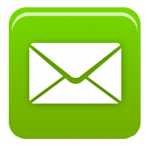 If you desire to purchase the Consulting Fees please click here. You will be taken to a different site. 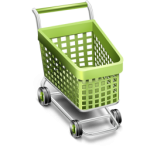 Look at the pull-down menus at the top and you will find what you need. PLEASE NOTE: Watching the Jesus Wants to Go to School videos will teach you how to get your School Bible Club started. However, if you want to lead an official KIMI PowerClub in your school, you must also to through the Kids in Ministry PowerClub Children’s Ministry Training which you can learn about and purchase by going here: PowerClubs Children’s Ministry Training Course. Course Instructor Tim Carpenter has been a dynamic kid’s evangelist, Project Editor/Curriculum Developer for KIDS Church Next Generation, and the Billy Graham Association. Tim was very active with Child Evangelism Fellowship overseeing their public elementary Good News Clubs. Tim’s vision is to simply help kids experience the transforming power and love of Jesus in and through their lives. 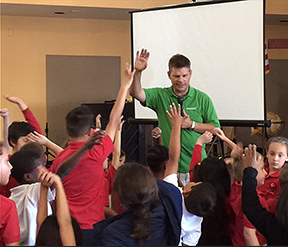 He has now turned his focus to establishing KIMI PowerClubs in the American elementary schools.